The Rook is a bird of ancient cultural landscapes; forests and groves, combined with meadows. 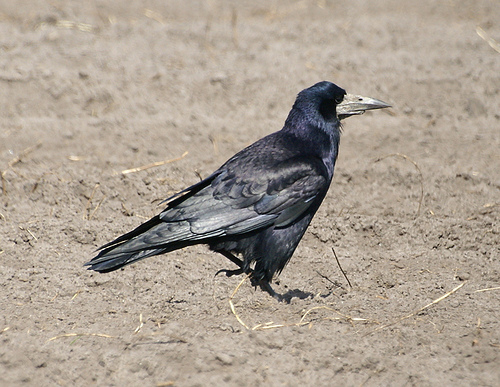 It is a large Crow with feathers over the legs. 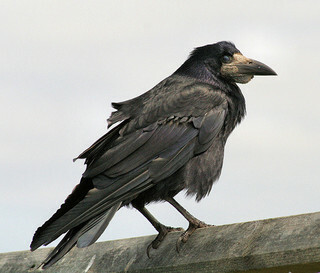 The base of the Rook's beak is light grey. The Carrion Crow's head and beak are completely black. The beak of the Rook is thinner and sharper.